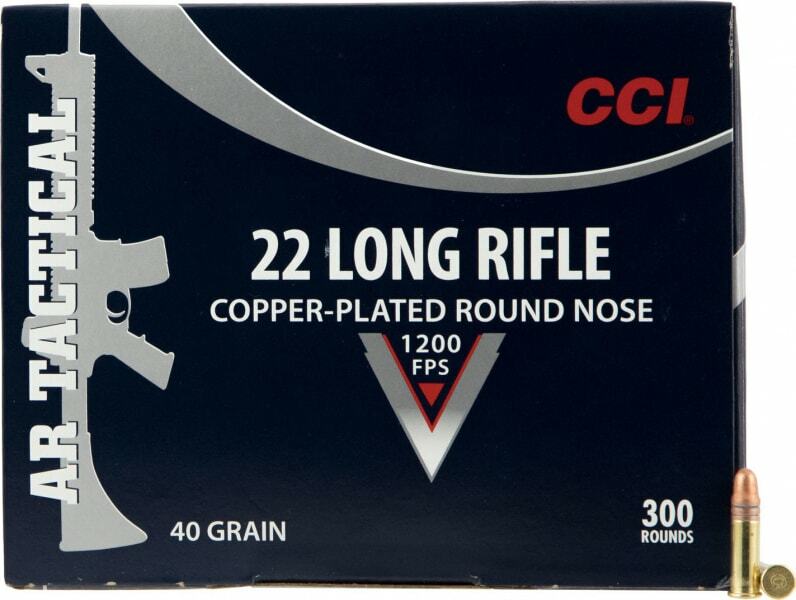 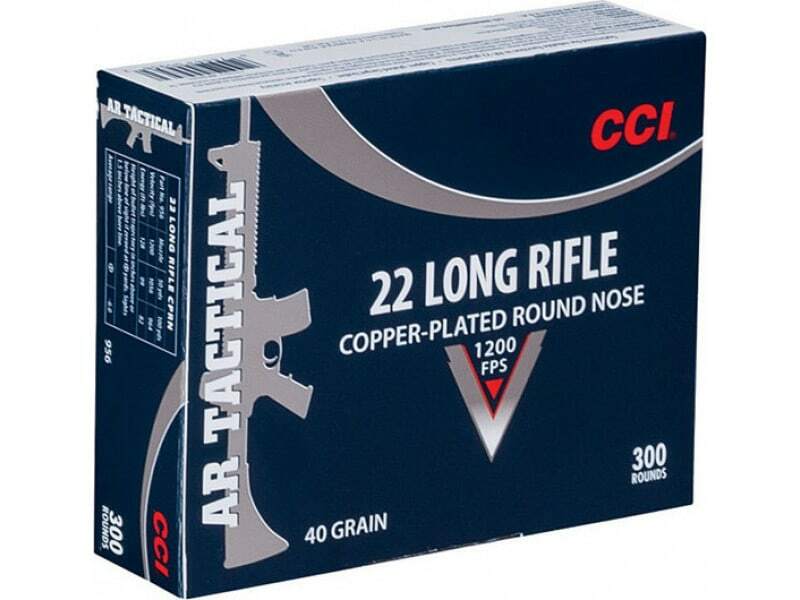 CCI 956: The CCI 22LR Tactical AR ammo is optimized for AR-style function and accuracy - 1.5 inches at 100 yards in factory testing. It was specifically tested for the Smith & Wesson M&P15-22. It is a 40 GR Copper-Plated Round Nose bullet.